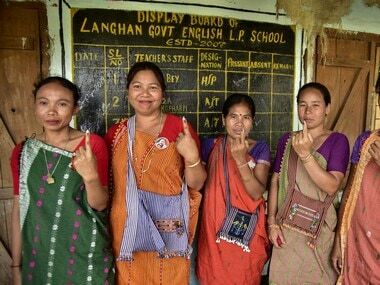 Agartala: Over 78 percent of Tripura's 2,536,589 voters had cast their votes on Sunday in a peaceful manner to elect a new Assembly, said state chief electoral officer Sriram Taranikanti. However, he said that the polling percentage might go up as huge numbers of voters were still in queues at 10 pm on Sunday night in around 100 of the 3,174 polling stations across the state. 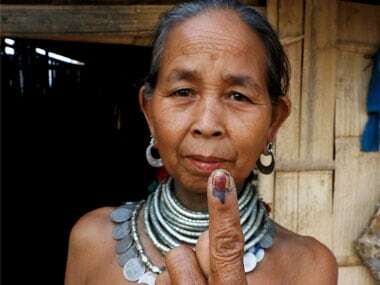 "Over 78.56 percent of the 2,536,589 voters in Tripura had cast their votes. The polling percentage will go up when the final figures come after completion of the remaining around 100 polling stations," Taranikanti told the media. 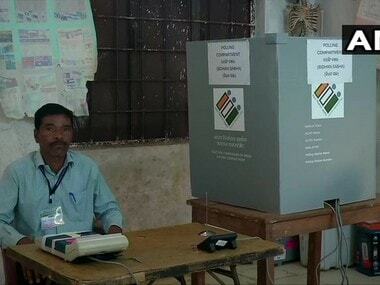 He said that 191 (6 percent) VVPAT (Voter Verifiable Paper Audit Trail) and 89 (5 percent) EVM (Electronic Voting Machines) malfunctioned causing delay in balloting. 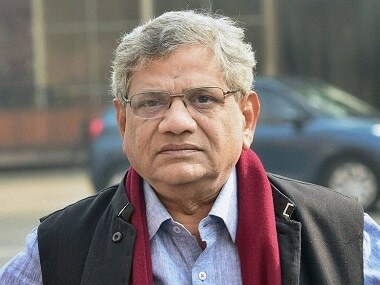 "We have decided to conduct re-poll in a polling station under Karamchara Assembly constituency even as the BJP (Bharatiya Janata Party) and CPM (Communist Party of India-Marxist) demanded re-polling in some polling stations," Taranikanti said adding that there is no incident during the polling throughout the state. In a separate media briefing, the BJP demanded a re-poll in eight polling stations and the CPM demanded re-poll in three polling stations. Ruling Left Front convenor Bijan Dhar alleged that at least five election agents of Left Front candidates were injured and shifted to hospitals when workers of BJP and its electoral ally IPFT (Indigenous People's Front of Tripura) attacked on them in different places of Tripura. 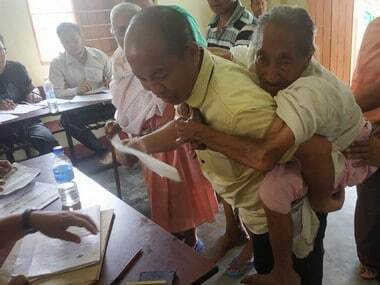 "Forward Bloc candidate Biswanath Saha and some women were injured when the central para-military forces carried out a baton charge in two separate places in western Tripura," he said, demanding action against the attackers.